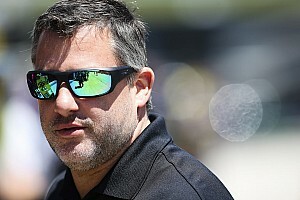 The wrongful death lawsuit filed by the parents of Kevin Ward Jr. against Tony Stewart in 2015 was officially dismissed on Tuesday. Donny Schatz picked up his 10th Knoxville Nationals title on Saturday night. Despite having a tough day on Sunday at Indianapolis Motor Speedway, that didn’t stop Monster Energy NASCAR Cup Series title contender Kyle Larson from racing Monday night at Ohsweken Speedway in Ontario, Canada. Rico Abreu will race for a cause at Calistoga Speedway on Saturday. Dave Steele, a two-time USAC Silver Crown Series champion who also competed in the IndyCar Series and NASCAR, died Saturday night from injuries sustained from an accident while competing at Desoto Speedway in Bradenton, Fla.
As Tony Stewart hinted at last month at the Ford Performance Center, Tony Stewart-Curb/Aganian Racing (TSR) Sprint cars will compete under the Blue Oval banner in 2017. Donny Schatz did not win a sixth consecutive Knoxville Nationals title on Saturday night, courtesy of Jason Johnson. 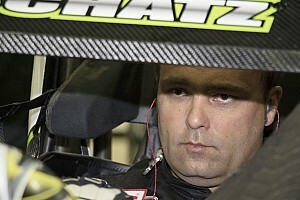 Can Donny Schatz dethrone “The King” of the Knoxville Nationals? Rico Abreu won his first feature in the Knoxville Nationals on Friday night. For many NASCAR drivers, a week off is an opportunity to rest. As the Bryan Clauson benefit auction was scheduled to end, competitors were still bringing last minute items to add to the list. 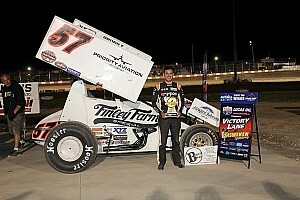 Tim Kaeding won the A main in the 5-hour Energy Knoxville Nationals on Thursday night at Knoxville Raceway. Kevin Swindell has undergone two successful surgeries since his accident at the Knoxville Nationals, one month ago. Swindell, 26, was hospitalized a week ago after a airborne accident in the Knoxville Nationals. The 26-year-old racer underwent a second successful surgery on Monday. Swindell remains hospitalized after flipping in his heat race last night at Knoxville Raceway. It's now been a full year since the death of Kevin Ward Jr. We returned to the scene of the accident at Canandaigua Motorsports Park. Annual race at Indiana's Anderson Speedway has 33 sprint cars on a quarter-mile oval. The racing world lost a giant on Monday, March 23, 2015. Tops Round 3 of the Winter Heat Sprint Car Showdown for owner Tony Stewart. Beats Danny Lasoski, Stevie Smith at Arizona event. Incident involving Tony Stewart and Kevin Ward Jr.
Top 20 moments of 2014, #2: The shocking death of Kevin Ward Jr. While we call them top moments, unfortunately tragedy strikes the motorsports community. And with incredible implications pertaining to the situation, it makes it as one of the biggest stories of 2014.